The Nisekoi – False Love live-action film hits Japanese theaters December 21, and to get fans hyped up, Naoshi Komi is set to create a bonus chapter of the manga for Shonen Jump. The chapter, which will appear in the December 17 issue of Jump, is about Raku getting tickets for a film on his way home from school. 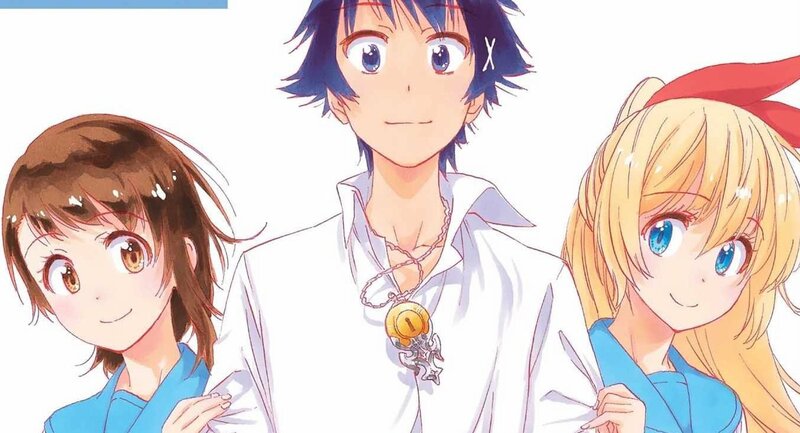 Wait—does the live-action Nisekoi film exist within the Nisekoi manga universe?! That’s meta, man. Said issue of Shonen Jump will also feature more content about the film including a poster, a talk between stars Kento Nakajima and Ayami Nakajo and photos of the cast. It’s hate at first sight—or rather a knee to the head at first sight —when Raku Ichijo meets Chitoge Kirisaki! Unfortunately, Raku’s gangster father arranges a false love match between Raku and their rival gang leader’s daughter, who just so happens to be Chitoge! Raku’s searching for his childhood sweetheart from ten years ago, however, with a pendant around his neck as a memento…but he can’t even remember the girl’s name or face!